Samsung announced the biggest TV in the world and perhaps the most expensive one with the clearest picture and audio sound can have will go on sale starting January 6th. The Korean company unveiled the 110-inch Ultra HD TV. Ultra HD TVs are also known as 4K TVs which bear 4 times the resolution display of a standard HD TV or around 8 million pixels. 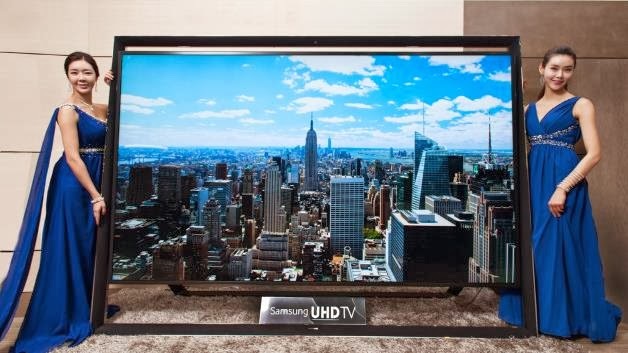 It was in early 2013 when Samsung announced at the annual CES that they would be releasing a 110-inch 4K TV before the year ends and here it is. But Samsung said this made-to-order TV will be initially available in China, Middle East and in Some parts of Europe then other markets will follow suit. As for its pricing, there is actually no real confirmation coming from Samsung itself but according to Engadget, they were confirmed by the Korean company that this monster smartTV will have a base price tag of $142,000. The said TV will also be in display at this year's Consumer Electronics Show or CES to be held in Las Vegas which will kick off next week.